Ally Daum and Jonathan Daum surprised their parents on their 40th anniversary with a dinner-dance at Ally's house. Pictured are (from left) Jonathan, Claire, Donald and Ally Daum. 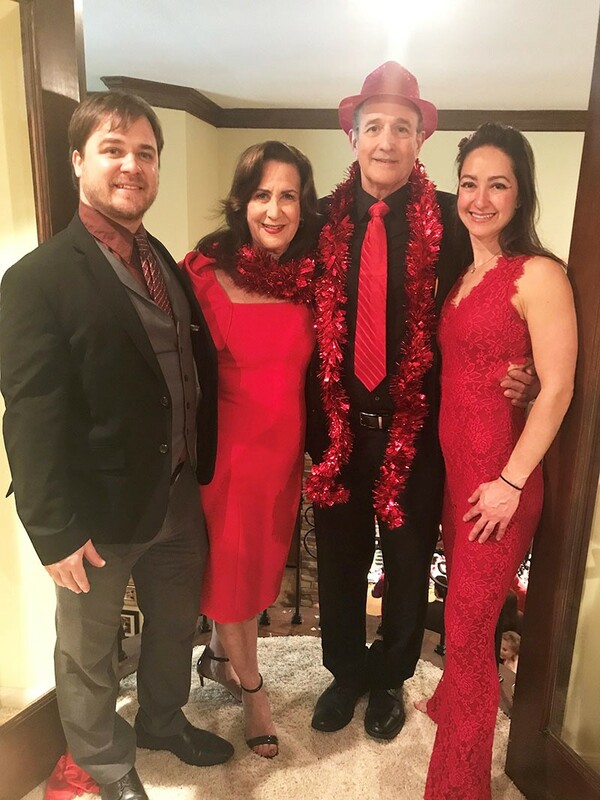 Ally Daum and Jonathan Daum surprised their parents on their 40th anniversary with a dinner-dance at Ally's house. Claire and Donald Daum thought they were going to dinner with relatives, with a planned stop to see their children and look at old photos. Claire had imagined the photos would be strung on the wall. However, she and Donald were blindfolded before they arrived and when they walked into the house, the 100 guests had to be completely quiet. Slow dance music came on and the Daums were instructed to dance – while still blindfolded – to their favorite song before the great reveal. Pictured are (from left) Jonathan, Claire, Donald and Ally Daum.